In the wake of the death of 13-year-old Erin Gallagher, SpunOut.ie has issued a set of guidelines to help parents and children deal with online and text bullying. 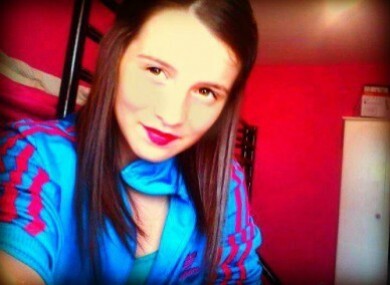 Donegal girl Erin Gallagher, 13, was found dead on Saturday after being abused online. A SET OF guidelines for how to deal with online and text bullying has been issued by youth group SpunOut.ie this morning. The advice comes following the devastating death of 13-year-old Donegal girl Erin Gallagher over the weekend. Erin had allegedly received anonymous abuse online and was found dead a day after she posted messages on the internet addressing the people who had written about her through Ask.fm, a website popular with young teens. The site works by having people leave questions for its members but posts can be anonymous. SpunOut.ie has issued a definition of cyber bullying, explaining that it can involve unwanted text messages, phone video recordings or web posts that are used to threaten, harm or abuse someone. Cyber bullying – like all bullying – is difficult on the victim, but it can be hard to prove, the youth charity continued. Young people can often find it difficult to build up the courage to report instances of bullying. Report the bullying to the technology providers such as the mobile phone company, web host or website owner. Commenting on texting, the group said that it is a method of conversation that can “unfortunately be used to harass, bully and frighten people”. It warned that it is illegal to harass anyone by text, phone, Internet or email. If it “gets out of hand”, it should be reported to the authorities. Don’t stay quiet about the bullying. Tell a friend, parent teacher or someone who can help. Don’t reply to the messages. If there’s no answer, hopefully they will get bored and stop harassing you. Don’t delete the messages, you can use them as evidence for reporting the crime. Report the bullying to the police or Gardaí and your phone company. They are aware of the problem and can give you a new phone number or caution the person harassing you. Erin’s death is the second this year that has been connected to online bullying. Ciara Pugsley, a 15-year-old from Leitrim, was found dead in September after being taunted with internet messages. Anyone affected by the issues in this piece can call 1Life, Ireland’s dedicated 24/7 suicide prevention helpline, free of charge at 1800 247 100. The line is run by 3Ts in conjunction with Console and is manned at all times by trained counsellors. The Samaritans can be contacted on 1850 60 90 90. Pieta House is a free service and can be contacted at 01 601 0000. Other helplines include TeenLine Ireland 1800 833 634, Console 1800 201 890 and Aware at 1890 303 302. Email “Teens urged not to respond to cyber bullies ”. Feedback on “Teens urged not to respond to cyber bullies ”.